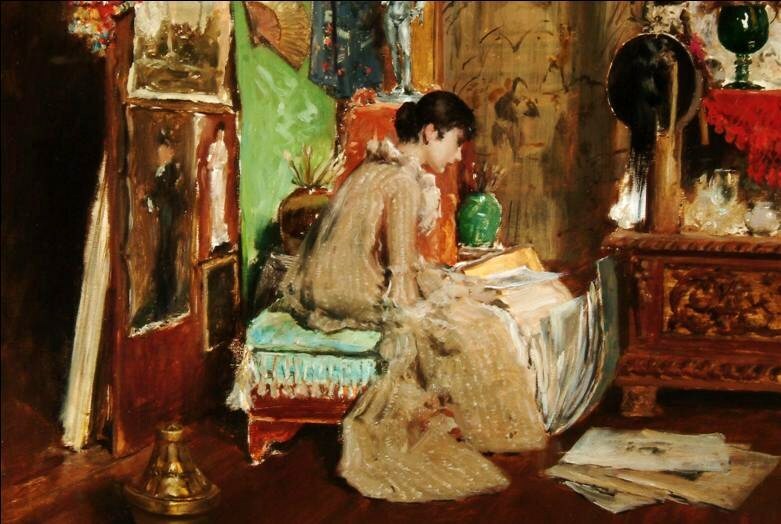 This colorful and intimate painting by William Merritt Chase shows the artist’s fiancée Alice in his studio surrounded by artworks. On loan from The Arkell Museum at Canajoharie, The Connoisseur—Studio Corner (ca. 1883) was shown at the Paine in 2011 as part of a major exhibition featuring portraits the artist painted of his family.